Peter Leonard, a landlord from Blackpool, recently spoke out on BBC radio after his property became “riddled with damp” following the installation of cavity wall insulation (CWI). Mr Leonard told the BBC interviewer that, after discovering mould in the property, he discovered that CWI was to blame. The insulating material was not meant to be used in coastal areas at risk from wind-driven rain and was soaking up water from the outside of the property and transferring it to internal walls. 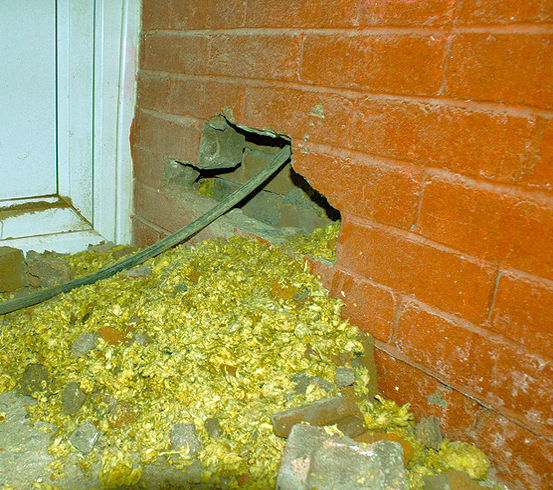 Mr Leonard had to pay £2,000 for the removal of the insulation before spending a further £11,000 on repairs to a collapsed floor. 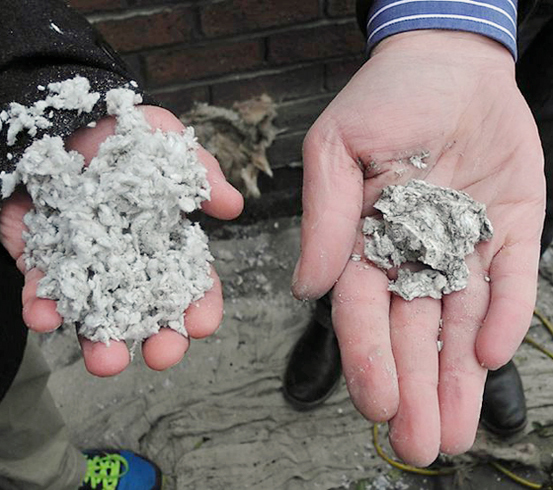 The material that has caused the most complaints of damp-causing is blown mineral-wool fibre. In retrofit applications, holes were drilled into brick outer leaves before loose fibres were blown into the cavity to form the insulating barrier. As the fibre can hold around 2.5 times their own weight in moisture, this is transferred to the inner wall, causing dampness and increasing the risk corroding wall ties as it goes. If your insulated home has a narrow cavity and a south or west facing wall then it may be at risk from damp following inappropriate CWI. One option is to have the offending damp material profes­si­onally removed as otherwise the property may suffer problems such as the mould growth and structural damage experienced by Mr Leonard. Any such damage should be repaired by a qualified expert and a powerful mould removal process carried out. Another option is to protect vulnerable walls against wind-driven rain. 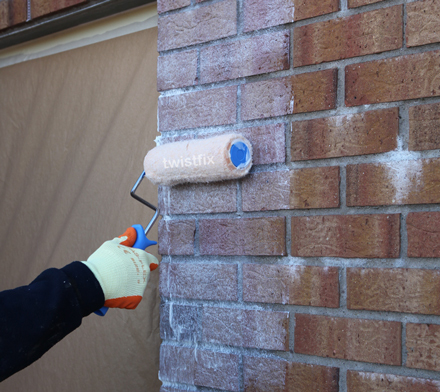 Defective mortar joints should be made good, frost damaged bricks replaced, cracks in walls stitched and filled with a high quality epoxy crack injection resin and finally the brick or stone walls should then be properly protected against dampness using a breathable masonry water repellent cream that keeps the water out yet allows existing moisture to evaporate. Our network of registered contractors have all the skills required to undertake masonry protection works, safeguarding insulating materials within vulnerable cavity walls by minimising the risk of penetrating damp caused by wind-driven rain. 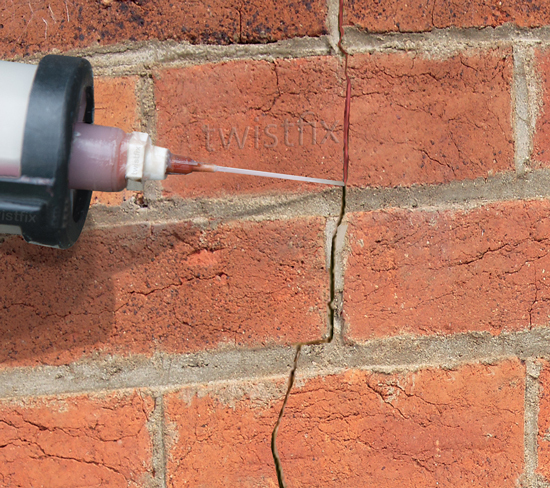 Want to receive updates on CWI, along with other news and special offers from Twistfix? Please sign up for our newsletter and follow us on Facebook, Twitter and Google+.